Next month sees the centenery of the Battle of Jutland. 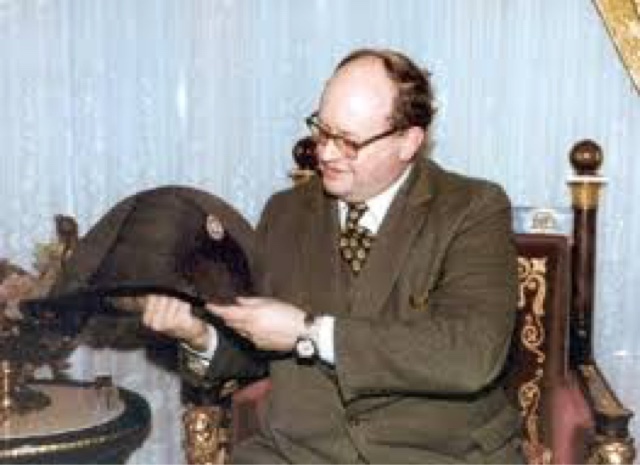 As readers of this blog will no doubt recall I have been wrestling with how best to commemorate this epic engagement via the medium of a war game (naturally!). My plans began in a grandiose fashion with a refight using 1/2400th models taking place on board HMS Belfast but practicality and logistical considerations have scaled this down somewhat. I plan to refight the battle using the Avalon Hill 'board' game of the same name and this means counters (scaled at around 1/4800th) rather than models. I seriously considered using 1/6000th scale models for this but if I am honest the price was way over my budget so a cheaper option was needed. I have often mentioned my fondness for the old Avalon Hill game of Jutland (designed by James Dunnigan and first released in 1967) so this was going to be the basis of the refight. The tactical rules are not perfect but they should be viewed within the context of what is essentially a strategic game. There are a number of rules additions that appeared in the old Avalon Hill General magazine and I plan to incorporate these. I have flirted with changing the system and making it more 'naval war gamey' but you know what? I am going to leave it as it is and fight the battle(s) using what is essentially an old school system. Besides, it is now too late to consider anything more complex. I am really looking forward to this and so next month will be very naval centric in terms of blog posts. At this stage the only decision I need to make is how to break the action up into historical scenarios for which I shall be using my modest library in the subject and also the Avalanche Press Great War at Sea board game that covers the North Sea during the period. 1966 was a good year. Aside from England winning the World Cup it also saw the publication of a very special, indeed seminal book. 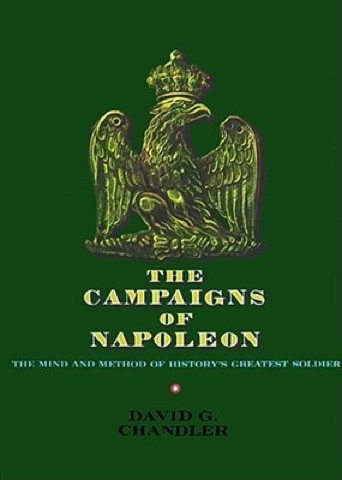 I am of course referring to The Campaigns of Napoleon by David Chandler. As a young war gamer in the early 1970s - replete with boxes of Airfix figures and inspired by Bruce Quarrie's Airfix Magazine guide to the Napoleonic Wars (not to mention the film Waterloo) - this book represented the Holy Grail of the wars of Napoleon. I always wanted a copy of this book but on my pocket money plastic figures and paints took priority. The first time I acquired a copy of this book was in the early 80s which was kind of ironic as by that time I had moved on from the wars of Napoleon. My first copy went with a whole pile of gaming stuff during one of my 80s domestic upheavals and so I was bereft of a copy until quite recently. The advent of Command and Colours Napoleonics and the celebrations around the bicentenary of Waterloo has made me look at the wars of Napoleon again beyond my lifelong interest in the 1815 campaign. I picked up a secondhand copy almost at the same time as finding a copy at a boot sale for a ridiculously small price (since passed on to Mr. Fox) and had forgotten how good a book this is. There are a myriad of titles in print that cover the various campaigns in far greater detail but this book is the one that everything else taps in to. It may be dated in the light of recent research but in my opinion if you only ever acquired one book on the campaigns of Napoleon then you would not go far wrong by adding this to your collection. The box in all its glory - photo courtesy of Google images. When the Plastic Soldier Company announced that they were going to produce a WW1 game in conjunction with Richard Borg of Command and Colours fame I was very interested indeed. I avoided the Kickstarter - or rather forgot about it until it was too late - and planned to take a look once the game was on the market. The game was released and my curiosity was piqued - but at the time not sufficiently to invest in a set. 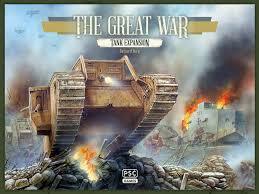 If I am honest I was unsure about the subject matter of the game - after all I had little interest in the Western front after 1914, at least until the tanks made an appearance. 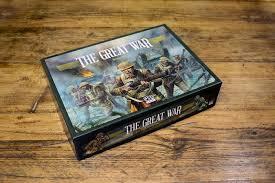 My Great War focus has always been more towards the sideshows - the Middle East and Africa being cases in point. My Great War library has plenty of material on those theatres as well as 1914 but nothing at all from Christmas 1914 on the Western Front. Trench warfare has little appeal for me - at least I thought this was the case until my reading of much of Turkish military history changed my mind. The Turks usually fought from defensive positions and so the concept of spadework on the battlefield should not really be quite so alien to me! I suppose to an extent it is very much a perception thing - the vast slaughter on the Western Front does not make for pleasant reading nor recreating on a table top in my opinion. I have to say that Richard Borg has achieved something of a coup with this latest version of his Command and Colours system. I will not go into a detailed overview of the game or the rules - simply because there are far better reviews on the internet - as I doubt I would be able to add to what has already been written. Suffice it to say that there are some subtle differences to the rule system to cater for the impact of artillery, machine guns and trenches. As I mentioned the late war does not really interest me per se - at least not until the Tanks were a regular feature - until you get to the more open latter stages. Having said that, the figures are very nice indeed (aside from the care needed to cut the British infantry from their sprues) although closer to 18mm than 15mm. There is an expansion set due to be released in a couple of weeks which adds tanks - 4 x Mark V (2 each of the male and female versions), a pair of A7Vs and a brace of German 105mm guns with crews. There is also the rules and scenarios and some additional terrain tiles. The base game uses a 12 by 11 hex grid - the extra depth no doubt to allow for multiple trench lines - and the terrain tiles unsurprisingly feature trenches - a lot of them! Artillery is not deployed on the board (which raises the question why did PSC produce both the 18 pounder and the 77mm) and is fired using a template - this should appeal to the old school gamers amongst us! The planned expansion - photo courtesy of Kickstarter/Google Images. I plan to get the tank expansion and am happy to dabble in the late war based on the set as it stands but for me the longevity may be an issue. If we get expansions and models for other theatres then I believe that PSC could be on to a winner.